HomeNewsWhat’s New at the UOwings Mills OPEN! Commuters taking the subway at the Owings Mills Station now have a healthier food option. 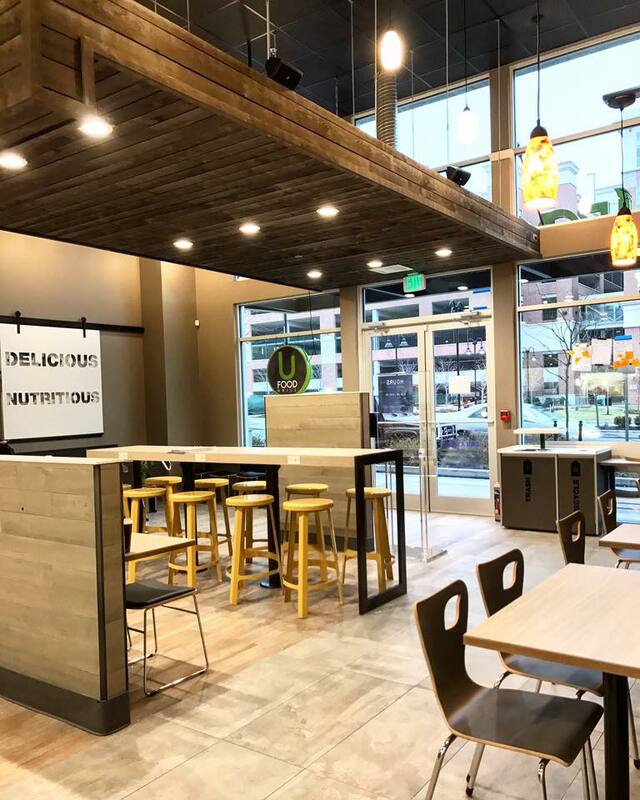 UFood Grill, a healthy fast-casual restaurant chain, opened its doors today in the Baltimore area at Metro Centre at Owings Mills. UFood Grill offers a fast, healthy “Good for U” menu for customers. Goldberg, a Howard County resident, first discovered UFood Grill at the Dallas/Fort Worth International Airport. A frequent traveler, Goldberg was inspired to find a convenient restaurant that served both healthy and delicious food. “It immediately felt timely, contemporary and tasted great,” he said. 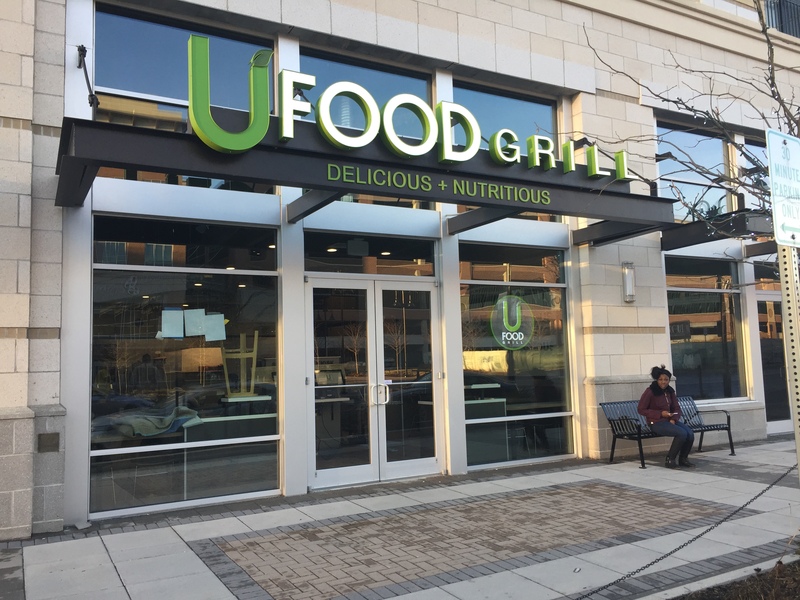 The Owings Mills UFood Grill is the first franchise located in Maryland. The 2,000-square-foot restaurant can comfortably seat 42 people indoors in its inviting modern-rustic dining area. The restaurant will employ 25 to 30 employees. The healthy eatery features many delicious menu items like paninis, burgers, wraps, salads and bowls. It also offers breakfast all day, and entrees such as steak tips, chicken and shrimp. All items are under 700 calories, low in fat and sodium, and baked, broiled or steamed. UFood Grill doesn’t fry any of its menu items. There’s also an array of specialty teas, coffees, spa waters and smoothies available. To speed service, UFood Grill uses the most modern technology with Self-Serve kiosks featuring facial recognition. UFood Grill, located at 10309 Grand Central Avenue, serves breakfast, lunch and dinner. Hours of operations are Monday through Sunday, 6 a.m. – 9 p.m. A festive grand opening is planned for April. 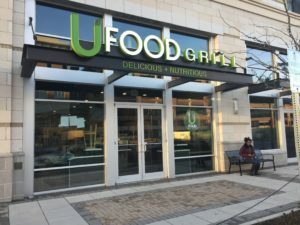 About UFood Grill: Based in Burlington, Massachusetts, UFood Grill is a franchisor of fast-casual food service restaurants. The restaurants offer consumers healthy options under 700 calories made with great tasting, fresh ingredients. 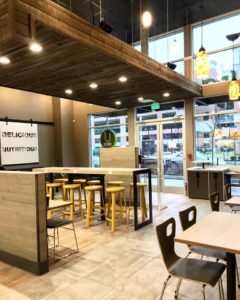 Known as the place where delicious meets nutritious, UFood Grill offers traditional and non-traditional restaurant designs to franchisees for expansion across the U.S. UFood Grill has earned Responsible Epicurean and Agricultural Leadership (REAL) certification. For more information, please visit ufoodgrill.com.